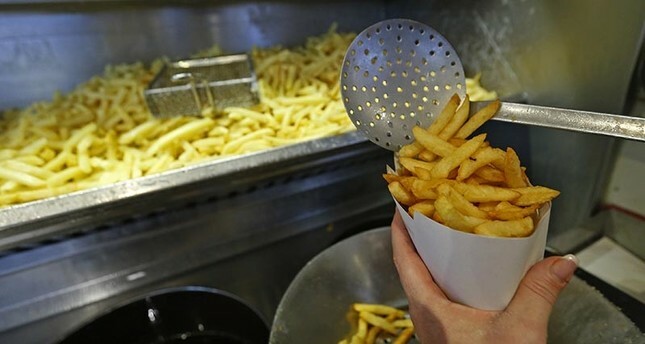 Dr. Christian Pfrang of University of Reading and Dr. Adam Squires of University of Bath have published a new study that links cloud formation to fatty acid molecules like those found in deep-fried foods. According to the scientists, fatty molecules in the air form complex structures that endure longer than most molecules, allowing moisture to gather and form into clouds, which in turn cool the air. "The idea that this [formation] may be happening in the air above our heads is exciting, and raises challenges in understanding what these cooking fats are really doing to the world around us," Squires told BBC News. The goal of the research is to determine the effect cooking fats have on the climate. Current atmospheric models don't include these fatty molecules, the scientists say. These long-lasting molecules, called aerosols, are a new focus of climate study, as researchers work to determine their role in changing atmospheric temperature. Frying foods is just one of the ways aerosols, which can be liquid or solid, form. And while most reflect light away from the atmosphere, some absorb it, heating up the air. Scientists have known that fatty acid molecules can form aerosols, but this is the first time they're studying the molecules' contribution to droplet and cloud formation. Using laser beams and x-rays, Pfrang and Squires examined the structure of the droplets. "We found these drops could form these self-assembled phases which means these molecules can stay much longer in the atmosphere," said Pfrang. "These self-assembled structures are highly viscous so instead of having a water droplet you have something that behaves much more like honey, so processes inside the droplet will slow down." "They are resistant to oxidation so they stay around longer, so cloud formation will be easier," Pfrang said. The next step in research will be to collect fatty acid aerosols from the atmosphere to study in greater detail, they add. "If it does have an impact, it is likely to be a cooling one," Pfrang noted. "And the extent urgently needs further research." The scientists don't go so far, however, as to suggest that frying food is a solution to reducing global warming.